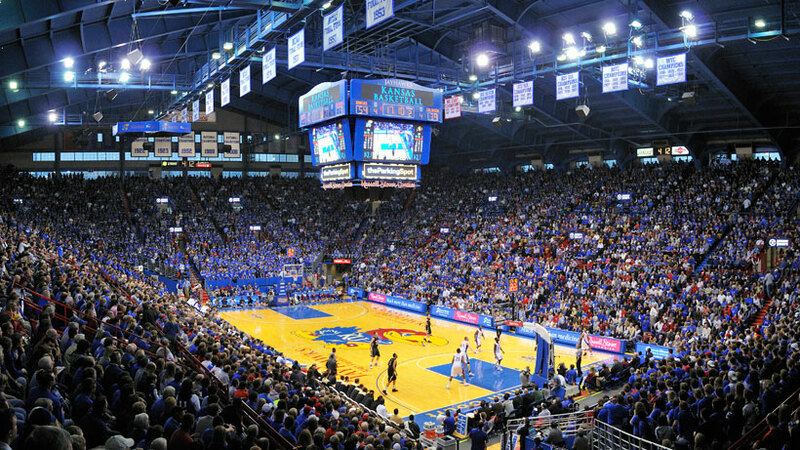 The fieldhouse, a limestone structure designed by State Architect Charles L. Marshall, seats 16,300 and has concession and media facilities. It houses media relations offices; systems information; facilities and events management; staff offices and locker rooms for several sports, including men's and women's track and basketball; an Olympic sports equipment room; and athletics human resources and other administrative offices. It was renovated in 1974-75, including a new court floor, and again in 1993. In spring 2005 the exterior was cleaned and other renovations done before construction began on the two-story, 26,000-square-foot Booth Family Hall of Athletics, which opened Jan. 21, 2006. 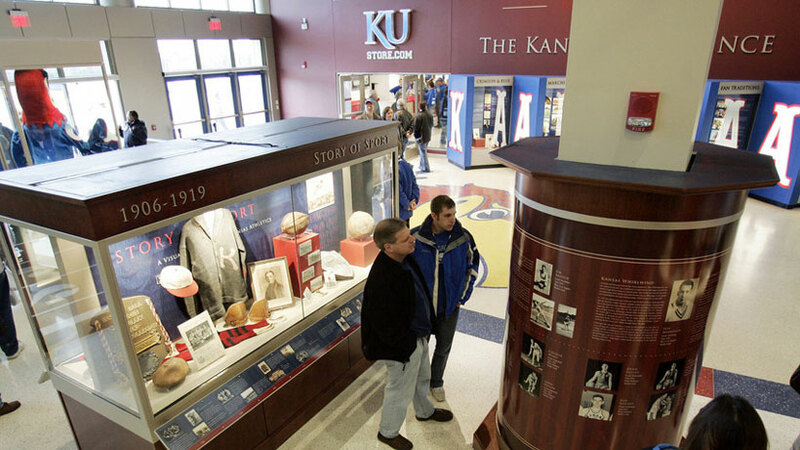 Booth Hall was expanded, including new interactive exhibits, as part of a $41-million renovation to the Fieldhouse complex completed in late 2009. The projects included a new 11,600-square-foot basketball practice facility for men and women; an enlarged volleyball facility in Horejsi; remodeled locker rooms and offices in Wagnon-Parrott for softball, soccer, track, and other sports; new locker rooms in Anschutz Pavilion; and new tutoring rooms, computer lab, and staff offices in student support services. The second floor of a new atrium linking Wagnon-Parrott with the Fieldhouse is a multifunction space adaptable for receptions and exhibitions. 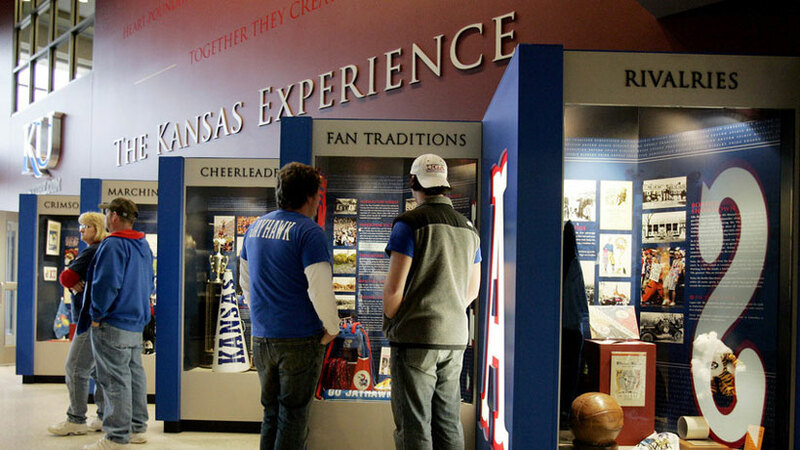 In the Fieldhouse, locker rooms, restrooms, concourses and concession areas were remodeled; mechanical and electrical improvements were made; and a two-level bridge to the parking garage was added. 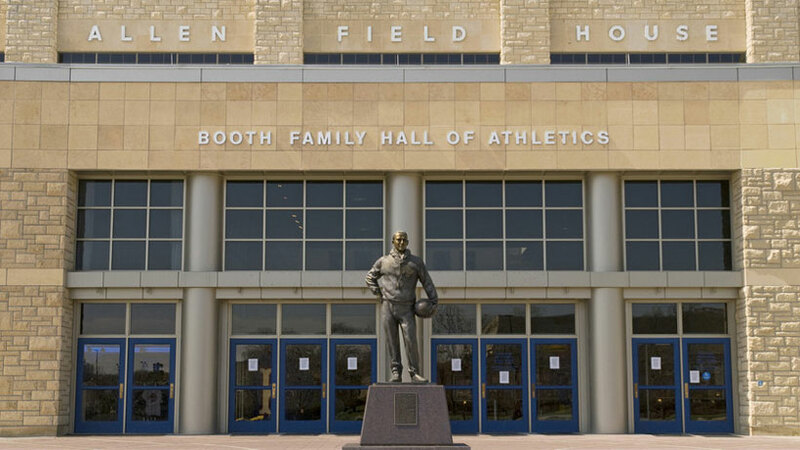 The DeBruce Center, which houses Naismith's original "Rules of Basket Ball," adjoins the northeast corner of the Fieldhouse and the Booth Family Hall. The Allen Fieldhouse Parking Garage, opened in 1989 , is directly north of the fieldhouse and connected by walkways. Italso houses the Parking & Transit department office.